After the runaway success of Victoria Beckham’s previous makeup collection. 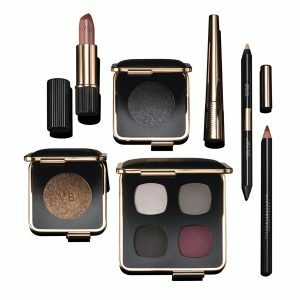 She has added more products to her Autumn Winter collection which is delivered again in collaboration with Estee Lauder. There are 5 looks in this collection from the smoldering London Look to the sophisticated New York look. Each new collection contains 6 key pieces to recreate the look. I particularly love the London Look eye pallette which is a gel creme formulation in different finishes from full on shimmer to soft matte. I also think the double ended eye pencil in Black Saffron/Vanille should be in everyone’s makeup bag. The vanille shade is for your water line to open up and brighten your eye and the soft black will create a smoky effect line. This makeup will make a very luxurious addition to the woman in your life dressing table. So, if you are one of the men whose Christmas shopping for their partner relies on the last minute dash to a department store while the very helpful lady behind the counter wraps the usual bottle of perfume, this maybe the purchase for you. Instead of a 24th December purchase, it could be the ‘buy it online in September’ alternative. I say September because much of Victoria Beckham’s makeup is sold out in a very short space of time. So, no leaving this one until Christmas week. 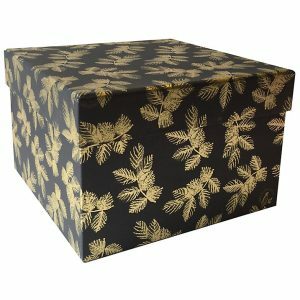 Just don’t forget a wonderful gift box and some tissue paper to put it in. John Lewis has a stunning selection of gift boxes like this one below from Sara Miller.